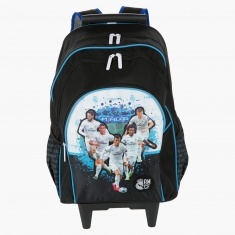 An appealing pick for your little one, this trolley backpack sports a print of Real Madrid. 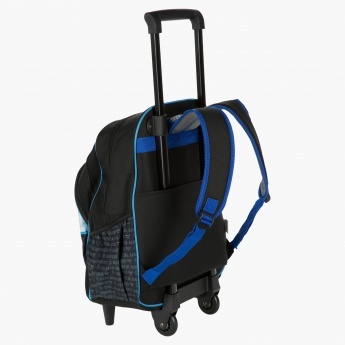 Featuring two smooth wheels, it has a trolley pattern that adds convenience. It also has three spacious zippered compartments and side pockets.